Rob Donaldson, owner of Donaldson Environmental holds a Bachelor of Science degree in Chemical Engineering from the University of Massachusetts Amherst, one of the top programs in the country. 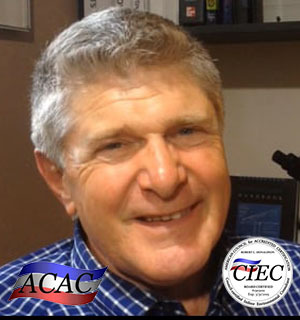 He is a Counsel Certified Indoor Environmental Consultant (CIEC), licensed Asbestos Inspector, licensed Florida mold assessor, licensed Florida radon measurement specialist, certified Florida lead paint inspector and has decades of experience in the construction industry, giving him considerable insight of common and not so common problems affecting the indoor environment. We are a consulting firm and our services are advisory in nature. There is no conflict of interest when we give advice because we do not sell any of the products or services we might recommend. Our comprehensive, plain language reports give our clients clear direction as to what and why problems exist and a road map for correcting them. Hi Rob, Thanks for the report. We greatly appreciate your punctuality and helping us with what we thought could be mold. You brought us peace of mind with this stressful process.